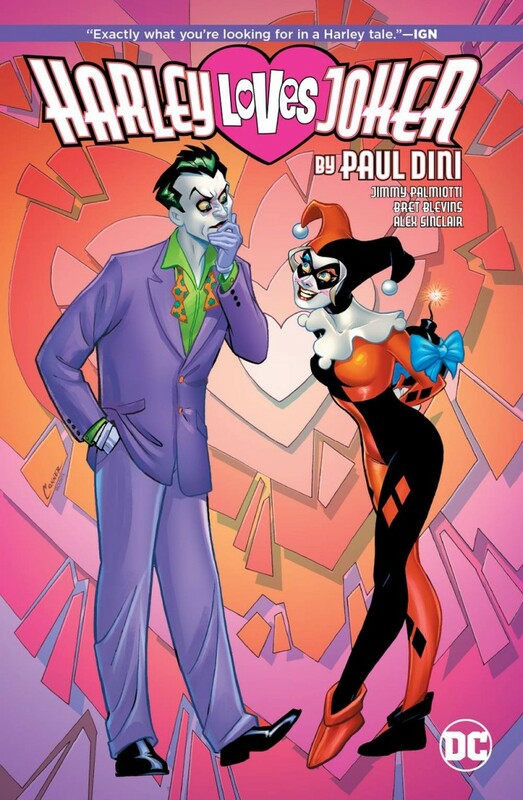 Collects the backup stories from HARLEY QUINN #17-25 and HARLEY LOVES JOKER #1-2. Set in Harley’s earliest days with The Joker, the DC Universe’s most mischievous antihero makes the biggest mistake of her burgeoning criminal career… accidentally revealing the location of Mistah J’s hideout! She tries to make it up to her puddin’ after her colossal blunder-but The Joker’s wrath is not easily soothed! And how will the Dark Knight make matters even more complicated?